Nelson, created by Spotify Developer Advocate Engineer Arielle Vaniderstine, offers more granular options regarding what you want to hear more of. You start by picking up to five genres you're interested in, then adjusting the sliders corresponding to particular musical elements (you can adjust the parameters anywhere from 0.0 to 1.0). Then: watch as the custom playlist is generated before your eyes. You can, of course, save that newly generated playlist to your Spotify account. 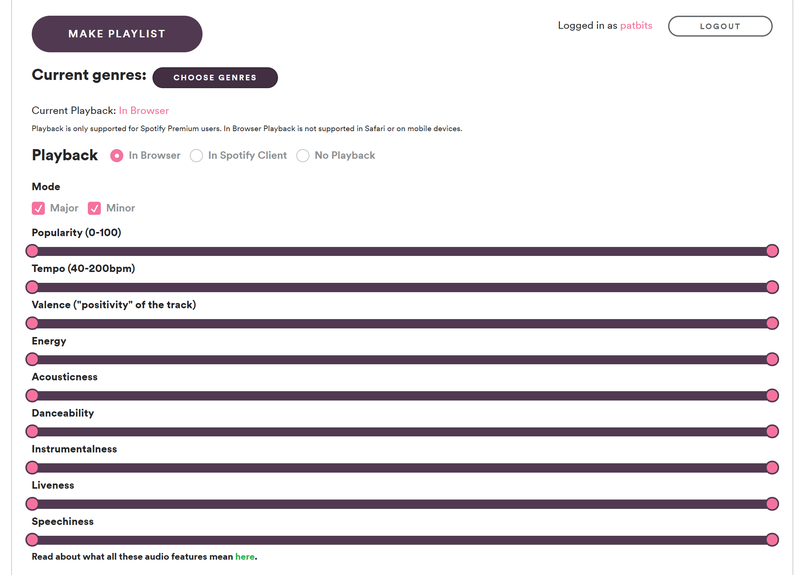 If you're curious how each setting affects the songs that appear on your playlist, take a look at Spotify's documentation describing each option and how it relates to the music presented. It also highlights how predictable your completely original and nonconforming musical tastes are. For example, danceability (according to Spotify) is "...based on a combination of musical elements including tempo, rhythm stability, beat strength, and overall regularity. A value of 0.0 is least danceable and 1.0 is most danceable." Want songs with fewer words? Lower the "speechiness" factor, which "detects the presence of spoken words in a track." The more words in a song, the closer its speechiness rating is to 1.0. 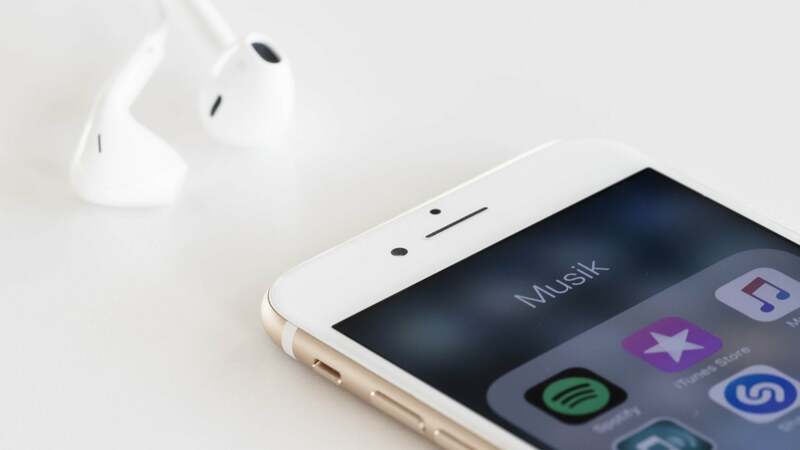 Spotify already does an adequate job learning from your previously played tracks, but making adjustments to those ten parameters, along with choosing the right list of genres, might be the deciding factor in whether or not your house party playlist is a bang or a bust.